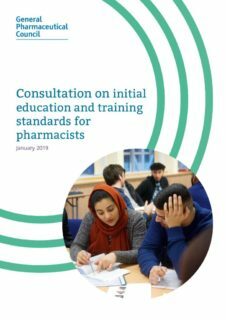 Broadly speaking, we would like to see the format of pharmacists’ training aligned with that of other healthcare professionals, with structured professional career frameworks for pharmacists in the different sectors of practice, underpinned by standardised pre and post registration training pathways. However, we found the GPhC’s proposals to be severely lacking in detail. 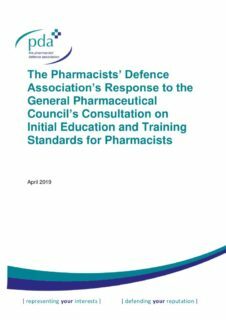 The considerable adjustments to education and training proposed within this consultation would have a significant impact on the future of the profession. Our main recommendation was that the GPhC should not make any changes as a result of this consultation. It should consider the responses to this consultation and put forward a more detailed consultation at a later date to allow better informed responses. If the UK healthcare system needs more pharmacists, that should be achieved by making the profession more attractive to work in. It is not the GPhC’s role to “widen opportunity of access to university and healthcare professions”. The GPhC must not passively accept or actively promote a reduction in standards of entry in to university; this would lead to the diminution of professional standards and reduced patient safety. The GPhC should set minimum academic entry requirements to be attained of specific grades at A-Level as a minimum (or equivalents according to the National Qualifications Framework). This should be evidence-based, considering the standards that need to be maintained in the profession, and enforced rigorously. We highlighted that in 2016/17, 25 out of 33 universities required ABB or better but 39% of new intake students were accepted on to courses having not attained the required A-level/Highers Grades. Progress assessment meetings must still require sign-off by the pre-reg tutor, who must be a pharmacist. The GPhC must not allow non-pharmacists to conduct these meetings. The current proposals state that the meetings may be conducted by “delegates”.